The New York Public Library Family Benefit fundraiser 2016 | DaDa Rocks! Now rescheduled for Sunday, February 28 from 10 am to noon! On Sunday, January 24, The New York Public Library is holding its annual Family Benefit fundraiser at its landmark Stephen A. Schwarzman Building located at 42nd Street building on Fifth Avenue and 42nd Street. 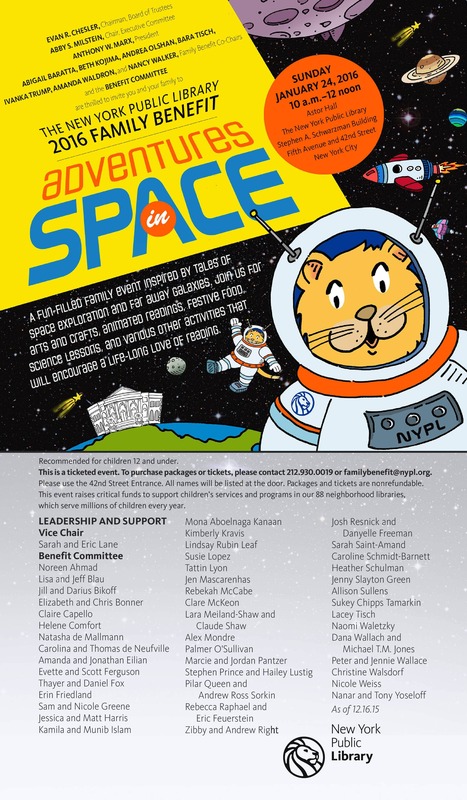 The fundraiser supports children’s programming and literacy efforts across the Library system’s 92 locations, including 88 neighborhood branches. As I’m sure you know, The New York Public Library offers a full range of free programs to the public, such as after school programs, teen coding courses, story times, baby lapsit, arts and crafts offerings, tech training, ESOL classes, and job search assistance, to name a few. 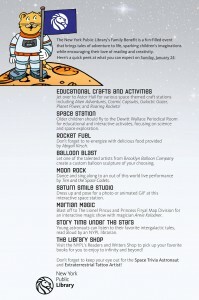 This year’s Family Benefit theme is outer space – and who doesn’t love outer space! Plus event fundraisers like the Family Benefit are an important part to keep all those great offerings going for the near future. 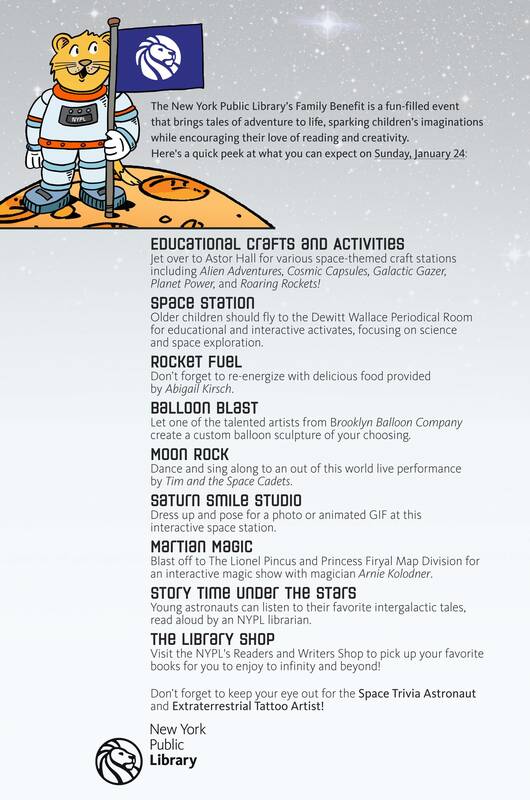 There will be a ton of things for families to do see this great list (click on image to enlarge). 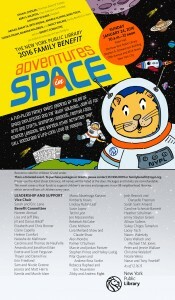 Tickets are $150 for adults and $100 for kids and please remember this is a benefit for all New Yorkers! To purchase tickets please call 212.930.0019 or email [email protected].